I really like the idea of bringing sandwich kebobs because my younger daughter doesn’t love to eat meat and cheese sandwiches. I think that if I present it like this, it will make it more fun for her and she will eat it all gone. Plus, I love the side of yogurt. 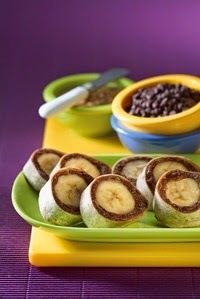 These banana roll-ups are a very simple idea. 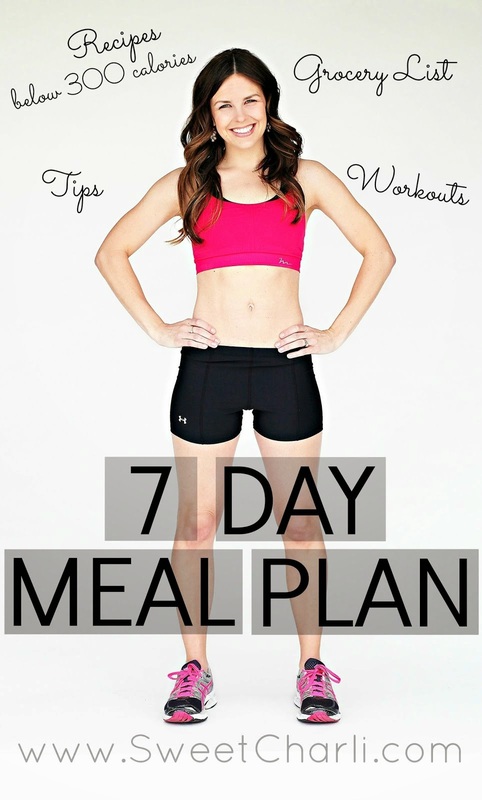 You can use peanut butter, nutella, or almond butter, like used here. I especially love how these are bite-sized. 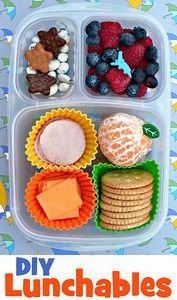 Making your own lunchables and using cupcake liners to divide all of the food is genius. My girls love making their own cracker sandwiches, so they will have fun with these! I am loving the idea of pizza lunchables! I love pita bread and think that it’s a unique and different thing for kids to eat at the park. 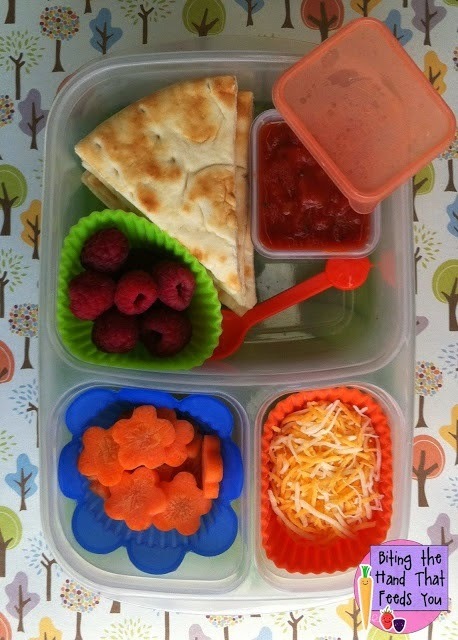 I would add some turkey pepporonis to this lunchable and my girls will love to make their own! 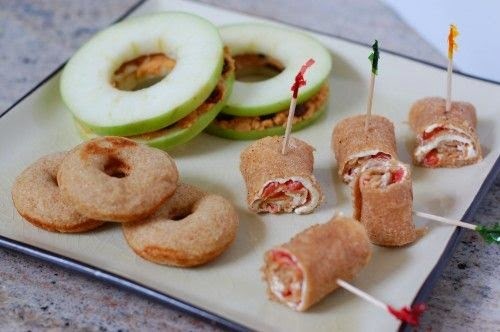 We have made these apple sandwiches before, my girls call them “apple donuts”! We just spread peanut butter over the top. I am anxious to try the wheat donuts (that aren’t deep-fried by the way)! The recipe is kind of like a wheat pancake recipe. Check it out. Funbites is a mechanism that makes cutting shapes super-easy! You can cut almost any food to make it fun for your kids! Order yours at Funbites.com and type in SWEETCHARLI to get 20% off your order. 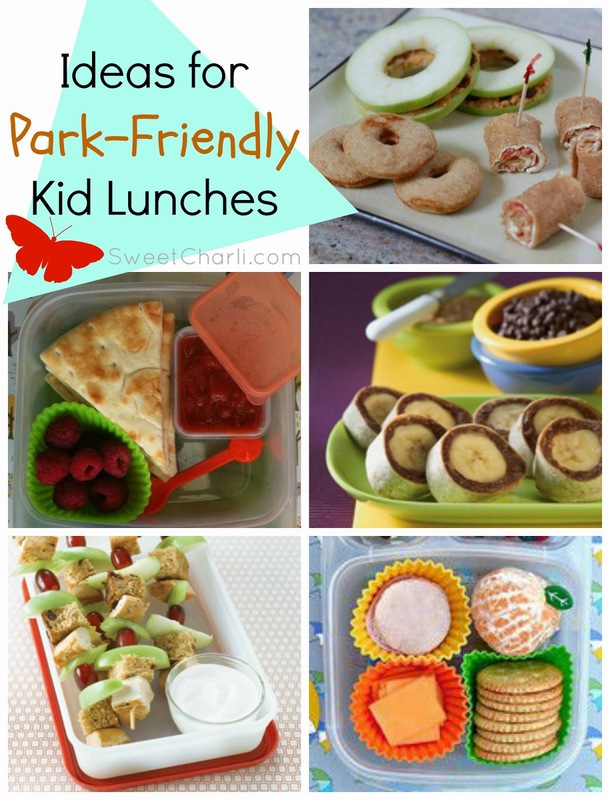 Hopefully that gives you a few ideas on how to make your lunches for park day a little more interesting. I am counting on my girls NOT being sick of peanut butter sandwiches by the time Summer is over this year! Can’t wait to try these park-friendly lunches! This is the cutest. Thanks for the ideas – I know as soon as school is out I’ll be making these like crazy! Oh what fun ideas!! 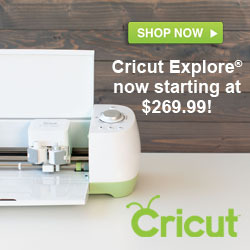 I love easy, portable, less messy choices – this would be great to have on hand – pinning! I am always in need of new lunch ideas for my kids. Thanks for sharing! Love these ideas! Thanks lady! 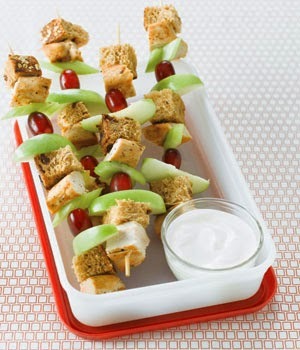 These are so perfect now that picnic season is upon us! I’m definitely pinning for later! This is exactly what I need! I was starting to just grab Chick-Fil-A because I was out of ideas! Thanks! Love your blog! what is wrapped on the outer layer of the banana bites? Good question! It is a wheat tortilla!